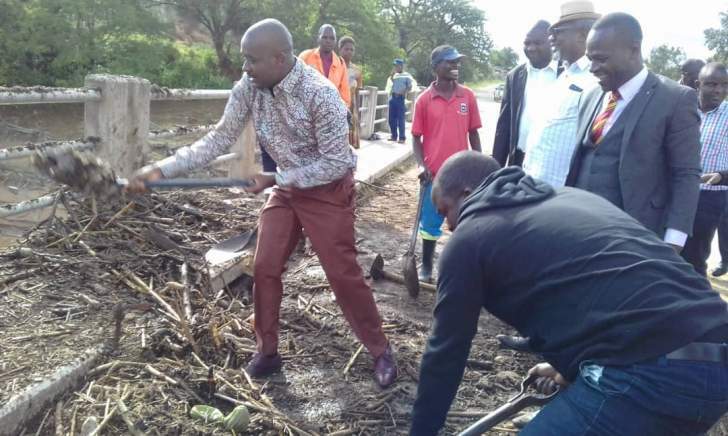 HOME Affairs deputy minister and top Zanu-PF official, Mike Madiro says the Monday visit by MDC leader Nelson Chamisa to Cyclone hit areas in Manicaland was an unwelcome attempt by the firebrand opposition leader to ride on the publicity brought by the tragedy to prop up his "political CV". The opposition was up in arms, claiming the move by authorities was a deliberate attempt to deny its leaders a chance to commiserate with distressed citizens. Commenting on the visit Tuesday, Madiro, who is also Zanu-PF provincial chair for Manicaland, said as a party, they were amazed by the opposition leader's stance, describing the act as an attempt by the latter to prop up his political fortunes and nothing close to a genuine effort to commiserate with survivors of the horror. The Zanu-PF official said if the opposition was genuine about rendering assistance, it should come and join hands with government departments that are working flat out on the ground to help victims through rescue efforts.